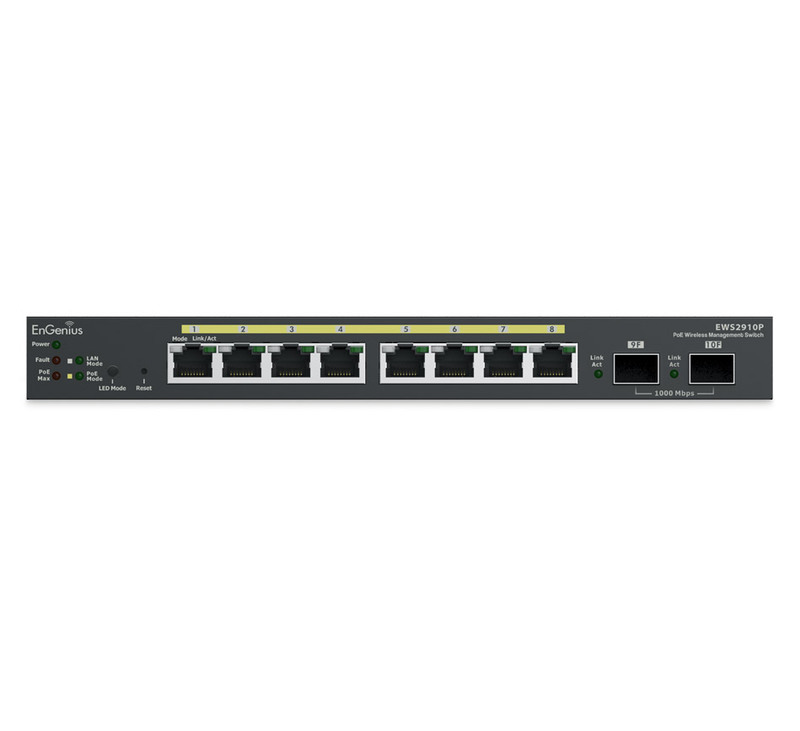 The EWS2910P PoE 8 Port Managed Switch features simplified network configuration, monitoring and management options along with an easy-to-use Web interface. Locally manage up to 50 Neutron EWS access points and centrally manage wired and wireless networks via ezMaster. Power compatible PoE devices such as IP cameras, VoIP phones, and APs. 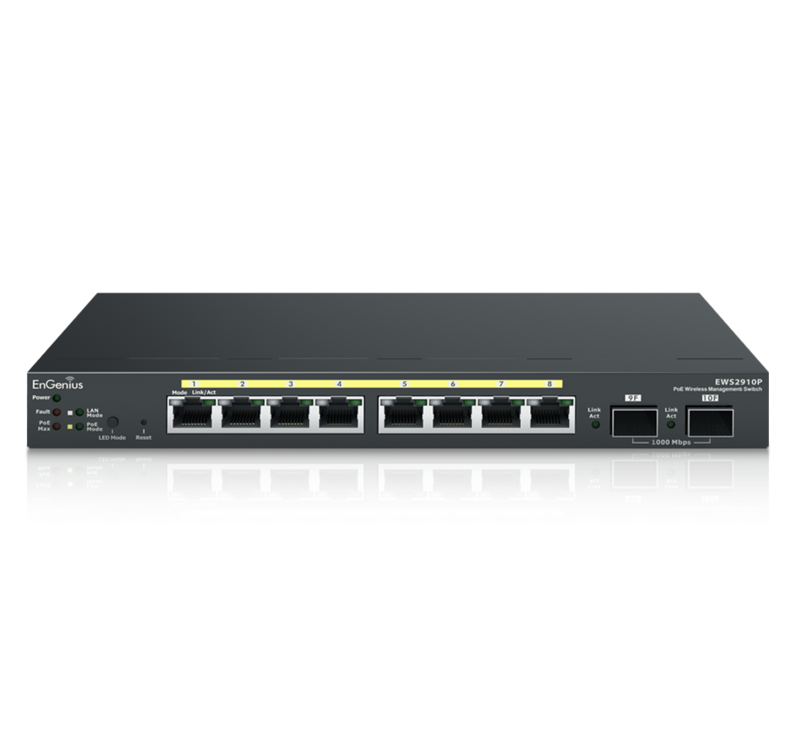 The EWS2910P is 802.3af compliant and can support EWS300AP and EWS310AP Access Points and can support any other 802.3af devices. 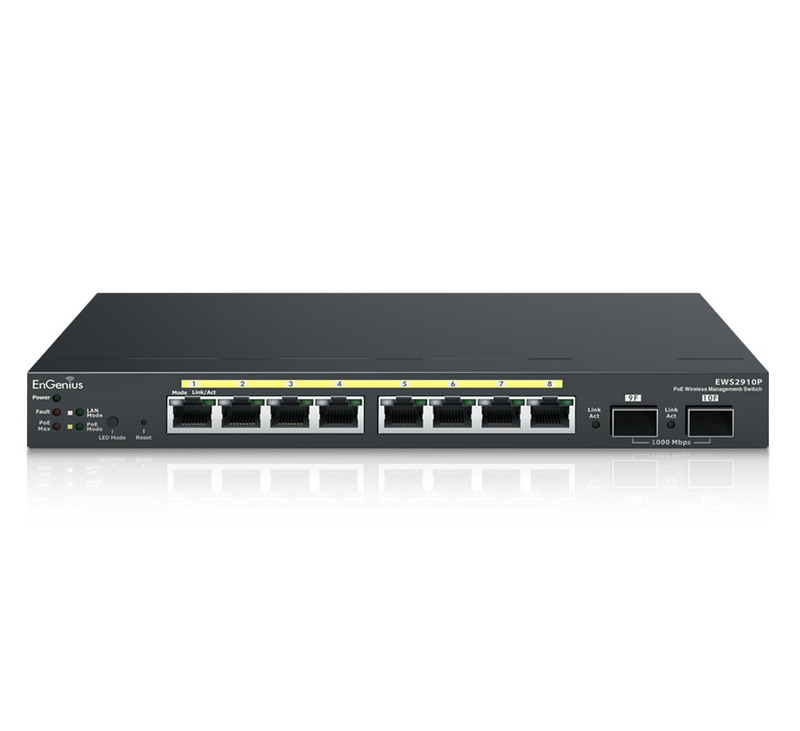 For APs that require PoE+ or 802.3at-compliant power, please use the EWS5912FP Switch.